Enjoy a savory authentic Sonoran meal at this authentic Mexican restaurant by a legendary family that honors culinary tradition and excellence. Created from a partnership between MGM Grand and the Flores family, restaurateurs known for their iconic Arizona outposts El Charro Café and Sir Veza's, the menu offers many gluten-free dishes and features dishes inspired by generations of family recipes with a modernized twist. 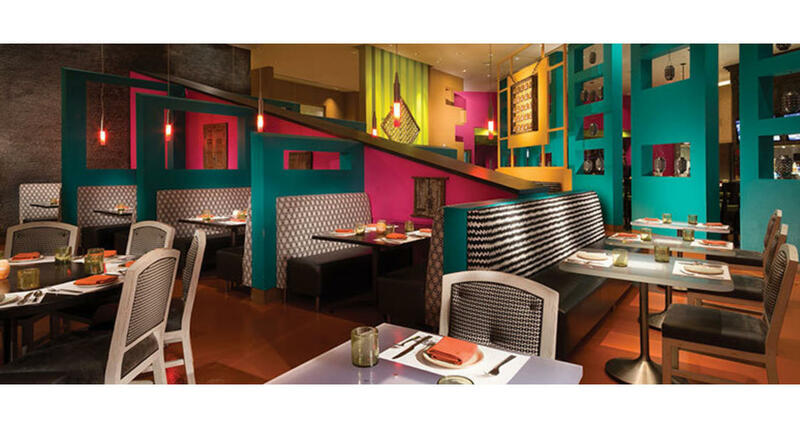 The unique 350-seat, cantina-style restaurant offers guests a choice between airy, open lounge seating with a prime view of restaurant row or a cozy seat within a vibrant, multi-colored dining room.